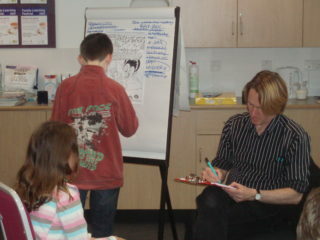 Children in Oxhey had a great time at the comic workshops led by Kev F from the Beano. 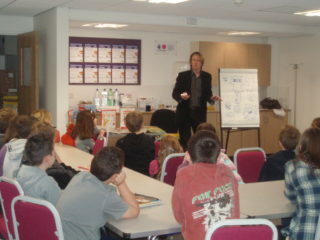 Kev talked about how he made up characters and got the children to think up their own comic characters and stories. He encouraged everyone to have a go at drawing their own comic strip. Kev told everyone to practise their drawing by copying pictures as well as creating their own. Kev drew a caricature of each of the children for them to take home and he put all their comic strips into one big comic. 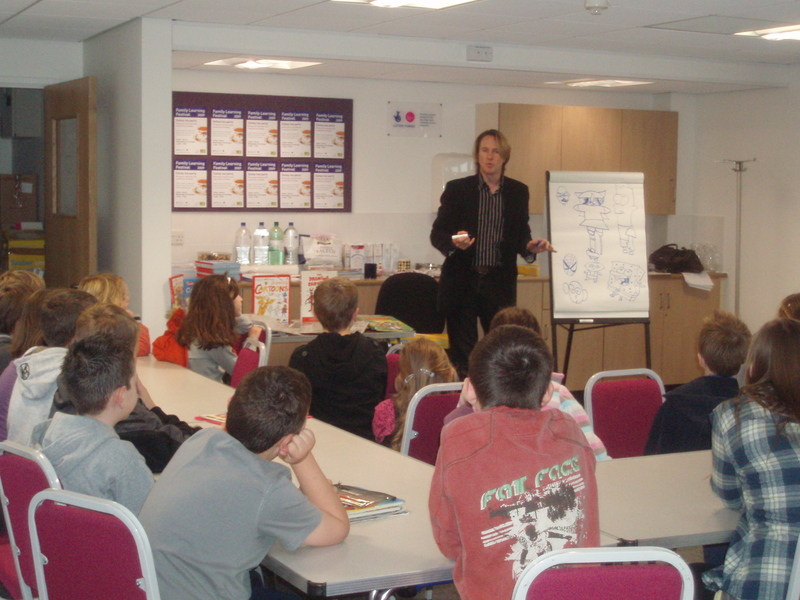 The children chose the title of the comic and they all had a copy of at the end of the workshop. 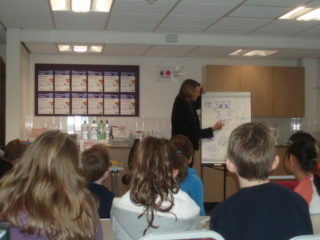 The children really enjoyed the workshop, and were delighted to go home with a comic they had made. Did you come to this workshop? Did you enjoy it and are you still drawing? This page was added on 22/11/2010. What a wonderful interactive way to encourage childrens’ imagination.